Here are some of the most beautiful beaches here in the Puerto Vallarta area. 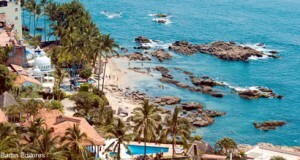 There are many options here in Banderas Bay so make sure to try out a few different ones when visiting this great destination. 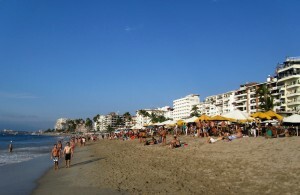 Located just south of where the Malecon (boardwalk) ends in the Romantic Zone, is this very popular beach. The waves can be large at times which makes for great body surfing or boogie boarding. There are also lots of other activities such as parasailing, taking a ride on the banana boat or renting a wave runner. It is a great place to spend the day and there are many restaurants where you can enjoy the use of their chairs and a cold beverage or two. Also a great place to go at night and take a stroll along the newly completed Los Muerto’s Pier. 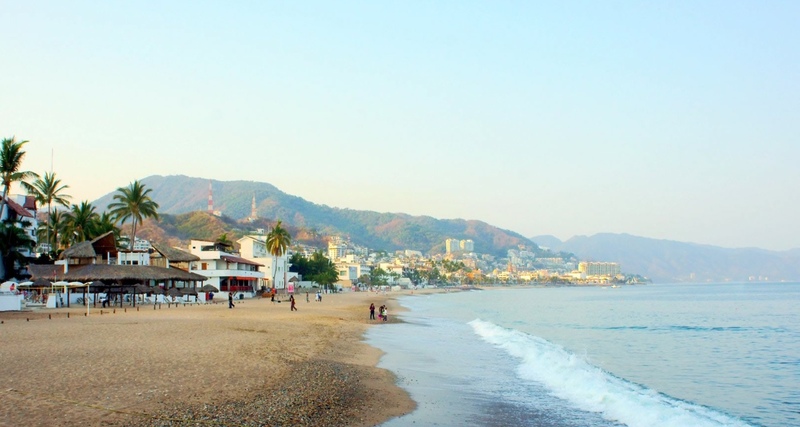 On the north side of downtown Puerto Vallarta is an amazing beach very popular with locals. It is much quieter than Los Muertos so a great option if you just want to relax and unwind. This beach is only accessible by boat/water taxi. 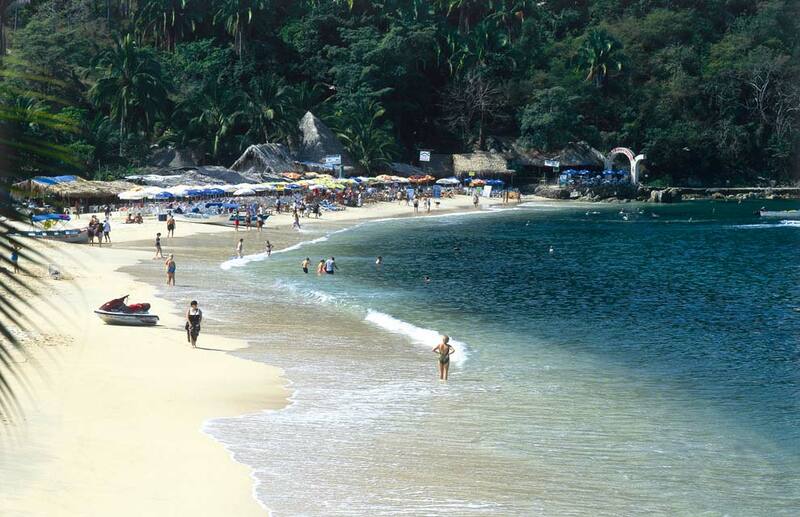 If you go south of Puerto Vallarta about 30 minutes you will find the small town of Boca Tomatlan, where you can grab a water taxi for a short trip over to this beach. The waters in this small bay are calm and a great place for swimming. 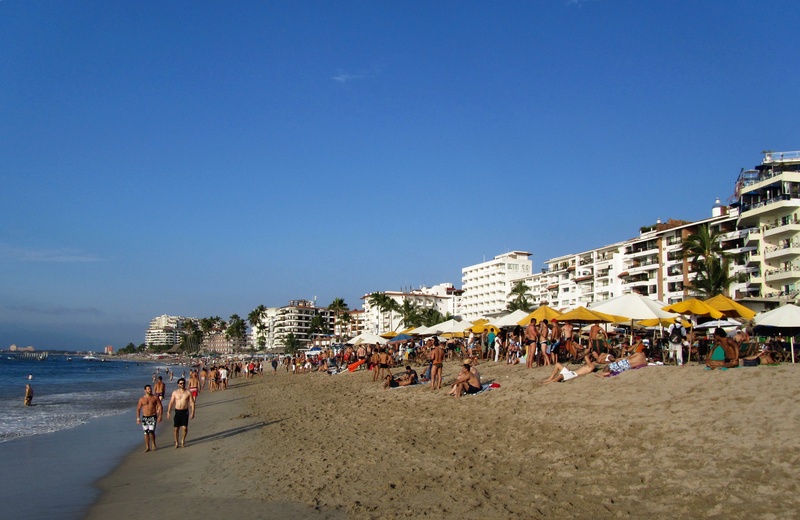 There are several beach restaurants where you can have a great lunch and a drinks. A really nice day trip. This is another beautiful beach south of town that is only accessible by water. Again the cheapest way is to catch a water taxi from Boca de Tomatlan which will get you there in under 20 minutes. Well worth the travel. Due to the inability to access this beach by road has kept Yelapa as Puerto Vallarta was many years ago. Enjoy the few local restaurants and cafes and do not leave without trying the banana cream pie, it is to die for. 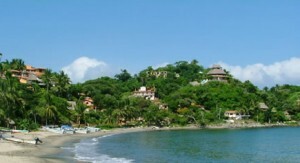 About 20 minutes south of Puerto Vallarta, you will find the small fishing village of Mismaloya. In a little cove with a river running into it, the beach is a great place for families to spend the day. Mismaloya was made famous when John Huston picked it as the location for the movie “The Night of the Iguana” starring Richard Burton, Deborah Kerr and Ava Gardner. 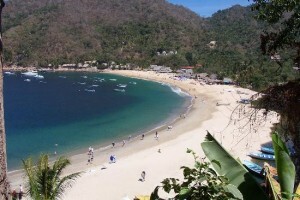 To get to this beach, go South on Barra de Navidad towards Mismaloya approximately two kilometres watching for the signs for Easy Street. Go to the end of this street and you will find this beautiful beach. 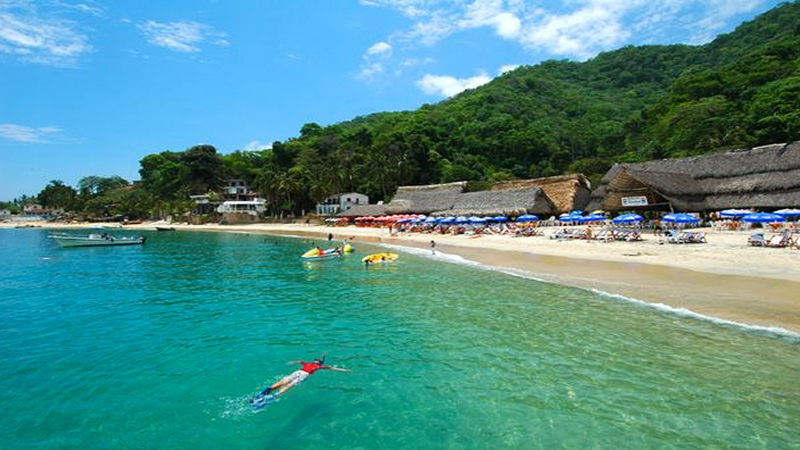 This beach is known for its calm waters and the Chinese Shells that give this beach its name. Between the big rocks, the water is especially calm which makes swimming here ideal. One of the most romantic beaches in Puerto Vallarta. 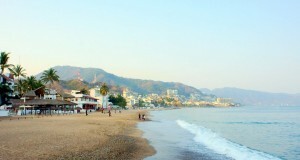 Sayulita is about 45 minutes north of Puerto Vallarta. It is a surfer’s paradise with one of the best breaks in the area. Even if you don’t surf it is a great place for families to relax and spend the day. Not into surfing, then take a horseback ride along the beach or just sit back and enjoy the local food and drinks. By no means, is this a list of all the beaches in the area. There are enough great ones around the Bay that you can spend a lot of time visiting all the different options. Let us know your favourite beach here in the area in the comments below. We are always wanting to try new ones.